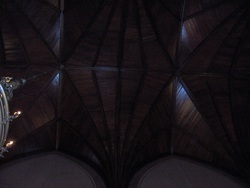 Each photo is accompanied by a short passage that gives some context to the image. I will continue to update the images as I sort through them, so keep checking. And as with all material on the site, it is available on a donation basis for your personal enjoyment, but is copyrighted for commercial applications. If you are a commercial user and wish to acquire one of these images for use, please contact me directly at timothycmg@yahoo.com for arrangements. Thank you. This is the season for these plump beauties. 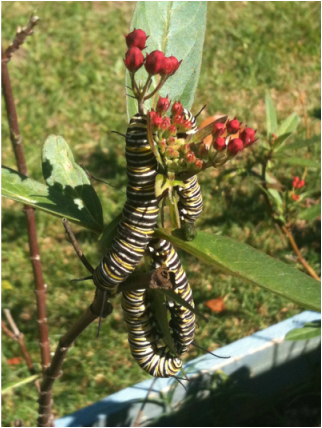 These are from the yard of a Coronado resident who plants ornamental milk weed in his garden just for the Monarchs to come lay their eggs. Nature offers such beautiful art if we give her the space. 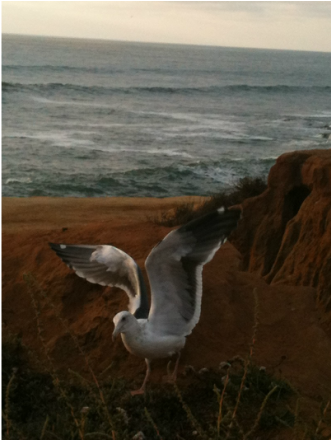 From a recent trip to Sunset Cliffs with friends. The sky was beautifully verigated with clouds that broke the sunlight into shafts of golden ripe wheat. Thanks to my friends for getting me to take time and watch nature's show. Wave breaking on the cliffs. 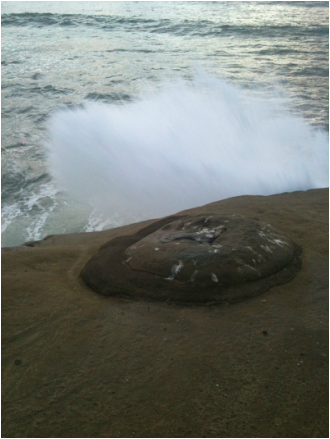 Waited for just the right moment to catch the intense energy of the wave as it was filleted by the sandstone. The unusual rock formation in the forground added an almost fossil element. An agent of constant change juxtaposed against a stubborn piece of history. We had food with us, and this eager gull was sure it could intimidate us from our dinner by channeling his great great great great grandpa's performance in Hitchcock's The Birds. Sadly for him there were no Tippi Hedren's among us. 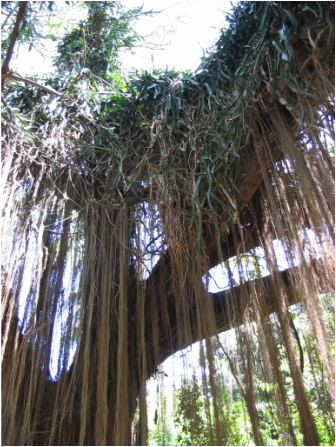 A large arrangement of ferns trailing roots from this tree on Maui close to Lahina. I liked the affect of them hanging like Rapunzel's hair. Part of the magic of Maui is the amazing sunsets and calm waters off of Napili Bay. The reds and blues reflecting on the ocean's gentle ripples give you a sense of just how relaxing it is there. There are so many climatic zones on Maui. This one sits at the edge of the rain forest, far from major towns. The almost continuous rains ensure that the wave sculpted hills remain green year round. San Francisco is full of amazing architectural elements and public art that spans some fantastic periods. This one perched on top of a column was lit so perfectly against the blue sky I could not resist the shot. A thunder head peaking above another fading anvil at sunset.